Ms Mmamoloko Tryphosa Kubayi-Ngubane, the Minister of Science and Technology, has been an ANC Member of Parliament since 2009. Before joining the Department of Science and Technology in February 2018, she was Minister of Energy from March to October 2017, and Minister of Communications from October 2017 to February 2018. 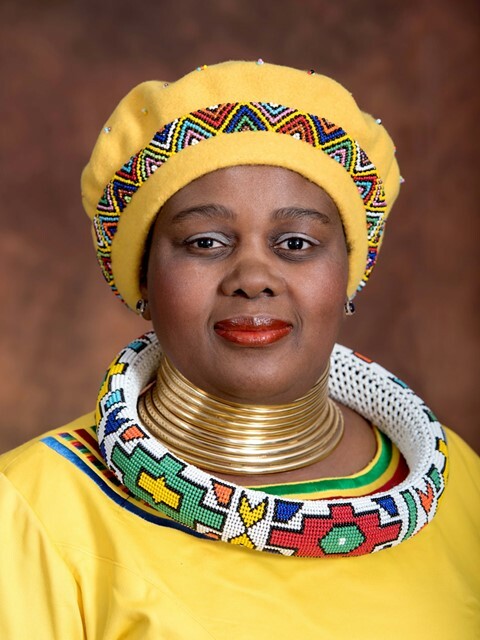 She has served on three Portfolio Committees, chairing the Portfolio Committee on Telecommunications and Postal Services between June 2014 and March 2017, and serving as Committee Whip for the Portfolio Committees on Basic Education and Higher Education between May 2009 and May 2011. She was Parliamentary Advisor to the Deputy President of South Africa from June 2013 to May 2014. With a master's degree in Public and Development Management from the Wits School of Governance and a BA from Vista, Ms Kubayi-Ngubane started out as a community developer. She moved on to become a leadership consultant at First National Bank, a Skills Development Manager and Facilitator at the National Health Laboratory Services, an ANC Proportional Representative Councillor in the City of Johannesburg Metropolitan Council, and the Director: Special Projects in the Deputy President’s Office. Currently a member of the ANC's National Executive Committee, she has held many political leadership roles, including in the ANC Women’s League, ANC Youth League and the South African Students Congress.